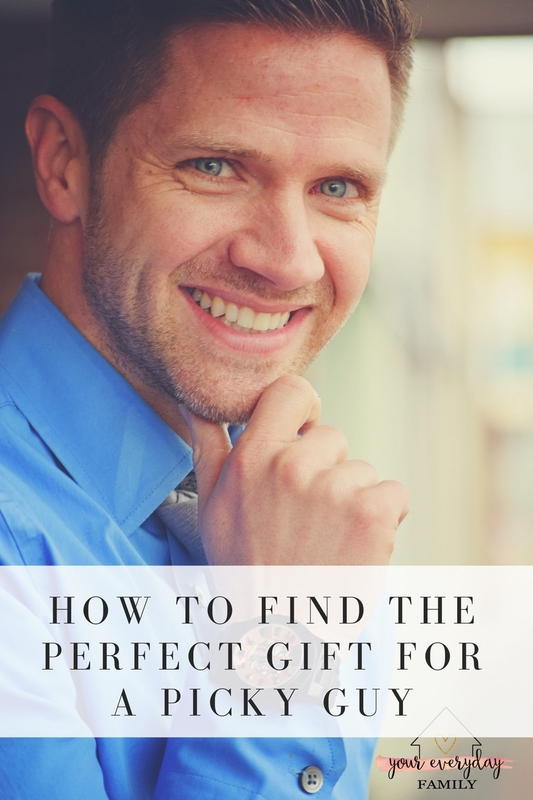 How To Find A Gift For A Picky Guy With JORD! Anyone out there with a really picky man? I love my husband but it hasn’t always been easy to find a gift for him that he hasn’t already picked out himself! He has a very particular style and taste, and he always wants to make sure he LOVES something before he purchases it. I literally had to stop shopping with him because I grew tired of waiting and waiting and waiting on him to make a decision about something. The plus side to this is that I always know that when he does find something, he really loves it. 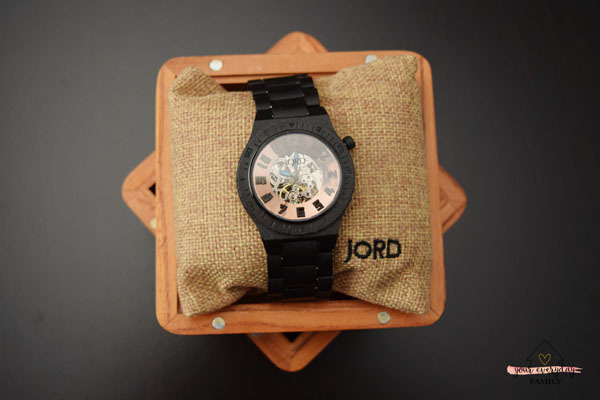 When I was contacted by JORD Wood Watches about getting a men’s watch for my man, I knew it would be the perfect match! When I look for a gift for my husband, I keep a few guidelines in mind. Just some little things that I’ve learned over the years when I do venture out and buy him something without asking him first. It’s always a little risky, but I do enjoy surprising him every now and then. So here is my guide for buying a gift for your picky man and why JORD Men’s Watches fit the bill every time. I wanted something that would last forever, just as our love will! Sorry to get a little sappy there but it’s the truth. When we were married, we promised each other forever. Gifts that represent that love are hard to find but it’s possible! First, think about what he needs. I didn’t always used to do this. Before we had kids, a lot of the decisions we made were about having fun, getting things that we wanted, and not always on our needs. That all changed the moment we had our oldest son. A lot of our time, energy, and money went to our children and, as all parents know, we stopped thinking about ourselves as much. My husband puts the needs of our sons and myself first. And that means he often goes without, waiting to invest in something he needs only after something else, like a pair of shoes, is falling apart. So, what does he need? That was the first question I asked myself over the holidays. He’s never owned a nice watch. Ever. 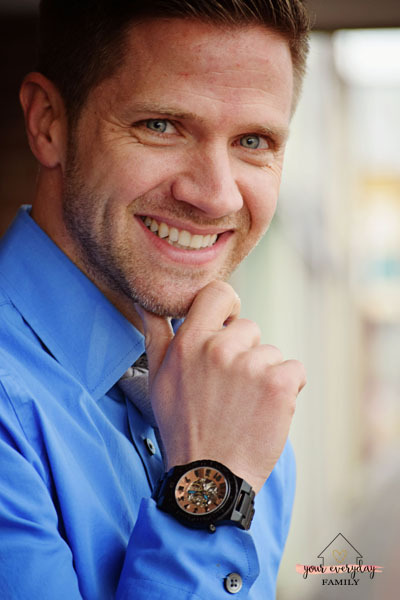 Having a watch that is reliable and will last is actually very important for a man like him. He manages our family business and owns a small business on the side. Time is very important to him! 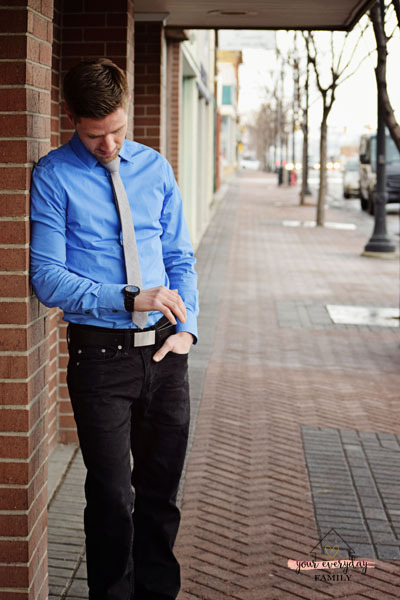 JORD watches are reliable and he’ll never have to worry about being late to an appointment again (especially when his phone dies as that used to be his time keeper!). Second, think about what he wants. This is a really easy follow up questions. Very often, especially now that we are a little older and in the thick of raising children, wants and needs end up being the same thing! But while they can be the same, sometimes a need could be something like “I need a pair of pants…”. And the want could be “I’d like a pair of designer jeans”. See the difference? The need is very basic and you’d maybe be happy having something that fills that gap, even if it isn’t meant to last. But the want steps things up and adds more details, more thought, and, quite often, it’s meant to last. So, I knew my husband needed a watch. I could have found him a men’s watch that would fit his needs very easily. But it was the JORD men’s watch that was special. The detail, the style, and the fact that it doesn’t have a battery so I know it will never stop on him.. Just a couple of the reasons I knew this would fit both his need and his want. Third, think about their personality! Take a minute and think of three words that describe your man. When I first set out to make a list of qualities my husband possesses, I ended with a long list. If you have a large list, it makes gift buying a little more difficult because almost everything I thought of fit who he was! He’s dependable. I never wonder where he stands when it comes to his loyalty, his love, his faith. He’s always there. 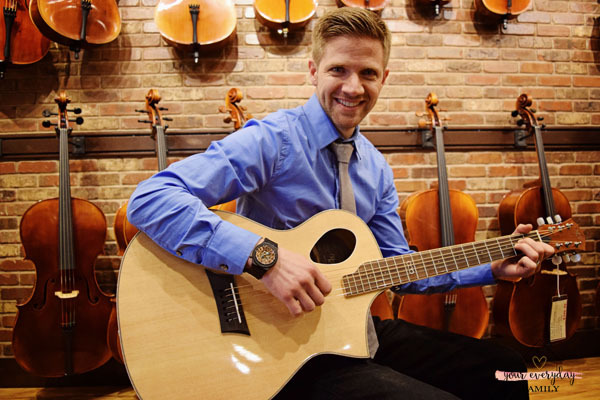 In addition to managing our family music store, he also teaches guitar and ukulele lessons. He’s a hard worker. It’s a trait that he inherited from his family. They are all such hard workers! When I want to take a nap, he’s ready to go out and tackle one more project. He thrives on work and getting things done. In fact, when he starts to get a little moody, if he finds a project to work on, it immediately cheers him up! It’s amazing! 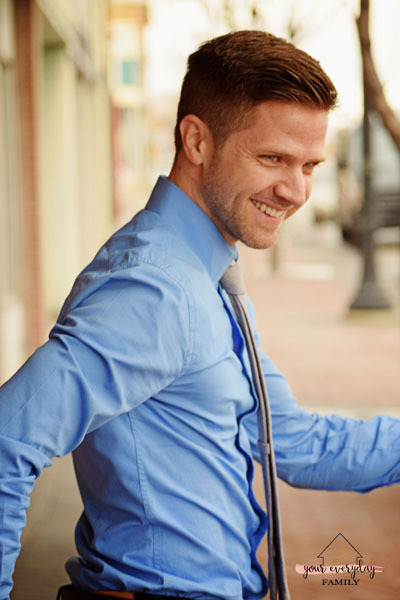 He loves to serve and make people happy, which includes having the best sense of humor. He makes me laugh every single day! So, I took those three qualities and applied them to my gift idea list. 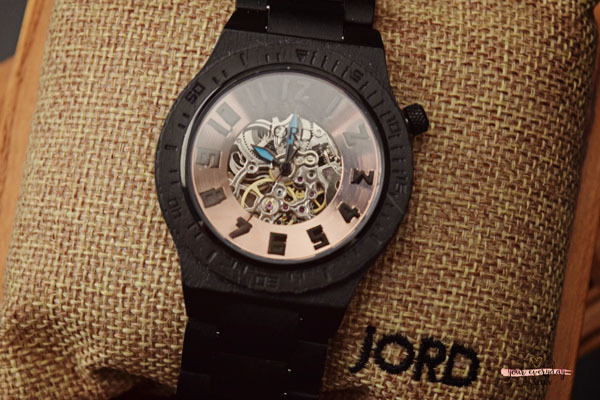 This JORD men’s watch fit each of them! They are dependable, because they never stop! They are made of the highest quality of materials to last a lifetime. The watch will work just as hard as my husband and be there to keep him scheduled for all of his projects. And it will serve him. Plus, the style is so fashionable and it comes from his family, so seeing it will make him happy. Over the years, I’ve prided myself on finding unique gifts that surprise him. For example, last year, I bought tickets to see Bruce Springsteen in Phoenix! He had never seen The Boss in concert before and had no idea he was touring. It became a great memory for us. It also fit all of the guidelines I created for finding a gift for him. 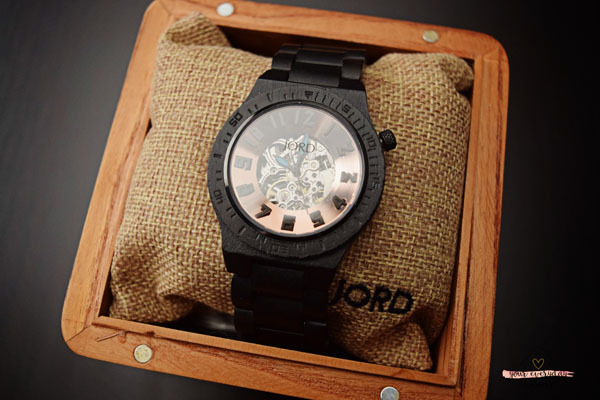 And JORD Wood Watches are also perfectly unique. They are made of beautiful wood, making each it’s own masterpiece because the wood grain is different for every one of them. I had never seen anything like them, especially the one I chose for my man. This one is called the Ebony and Copper Men’s Watch. The ebony is contrasted beautifully with a ring of copper. I had never seen anything like it and I knew it was the one for my husband! 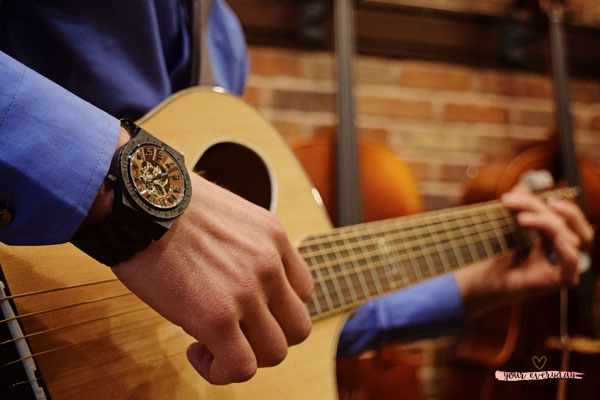 It’s the perfect companion for busy days at work or the rare time he has to sit and play a guitar. I would love to see you own one of these watches! They have a line of men‘s watch and a line for women so you can keep it for yourself or to give as a gift. You can enter to win $100 towards a watch of your own by entering here! 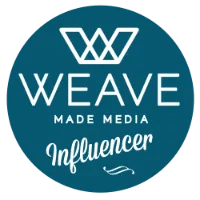 And even if you don’t win, you will still receive $25 code off your order when the contest is over. With Valentine’s Day coming up fast, you can give your man the perfect gift! Which watch is your favorite? « How to Put Your Disney Trip On Layaway & Tips to Save!